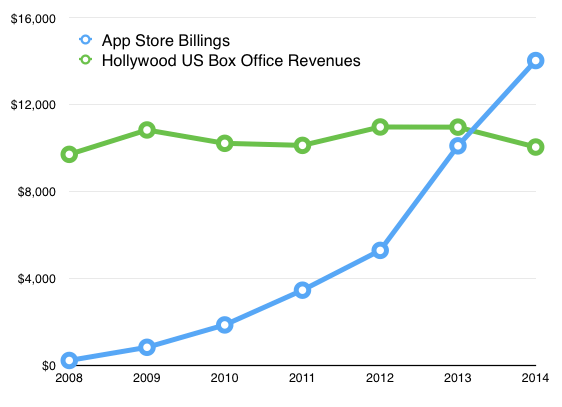 While reading a self-laudatory Apple press release, the technology business analyst Horace Deidu found something remarkable: The iOS App Store distributed $10 billion to developers in 2014, which, Deidu points out, is just about as much as Hollywood earned off U.S. box office revenues the same year. What does this feel like? For me, it’s seeing ads for “Clash of Clans” during the Super Bowl, or the thing where cable news talks more about Twitter and Facebook than their users talk about it. It’s where BuzzFeed feels more culturally ubiquitous than MTV. It’s where Nickelodeon introduces a nightly primetime show that literally includes, as a major feature, the viewer watching child stars watching YouTube videos. It’s Grumpy Cat’s Worst Christmas Ever. It’s YouTube stars interviewing the President. 3D printing is often hailed as a revolutionary technology. It might become the next home computer or desktop printer — both of which changed the way we work and play. The evolution of computers sets a precedent for how 3D printers will progress: before the PC and Macintosh came along, scientists used enormous mainframe computers that took up entire rooms. The research that miniaturized these technologies to make them consumer-ready was what really changed the world. That is the impetus behind a development agreement between construction company Skanska, London architecture firm Foster + Partners, and researchers at Loughborough University (LU). The collaboration aims to bring 3D printing to architecture, by refining a prototype robotic printer and establishing the supply chain necessary for the printing process. Skanska, along with Foster + Partners, has already been developing the technology in conjunction with Buchan Concrete and Lafarge Tarmac. ROB|ARCH has been initiated by the Association for Robots in Architecture as a new conference series on the use of robotic fabrication in architecture, art, and design, closely linking industry with cutting-edge research institutions. In December 2012 the conference was hosted by its founders in Vienna, Austria. In 2014 the conference travels to North America, hosted by Taubman College of Architecture and Urban Planning. Continuing with the previous theme of collaboration, the conference seeks to bring together artists, designers, fabricators and industry leaders for the purpose of advancing the discourse surrounding robotic fabrication. Following on the success of ROB|ARCH 2012, the conference will again present a series of workshops held at select research institutions on the east coast of the United States, aimed at exposing the advanced capabilities of applied robotic research. Following the workshops, the conference will span two days at the University of Michigan Campus in Ann Arbor, Michigan, about an hour outside of Detroit, the origin of robotics in North America. The internationally renowned publishing house Springer Wien/New York will publish and market the proceedings of the conference worldwide. Some of the fabrication from the workshops will be exhibited in the Liberty gallery from the conference meeting dates through the end of the summer. The exhibition is organized by Assistant Professor and Director of the FABLab, Wes McGee, and FABLab Coordinator Aaron Willette. Super-starchitect Lord Norman Foster and his friends at the European Space Agency stunned the world last year with a plan to build a lunar base by 3D-printing it with moon dust. But what happens when you try something like that on Earth? 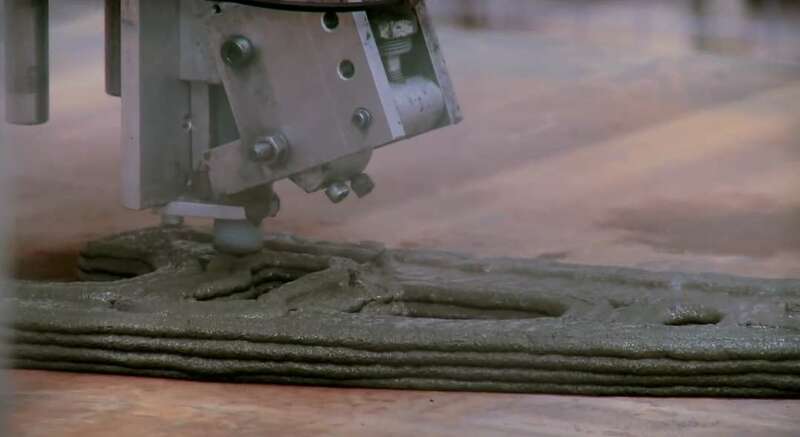 How is 3D printing changing the way we build cities?.